Walk in the old Ahmedabad – a living museum! 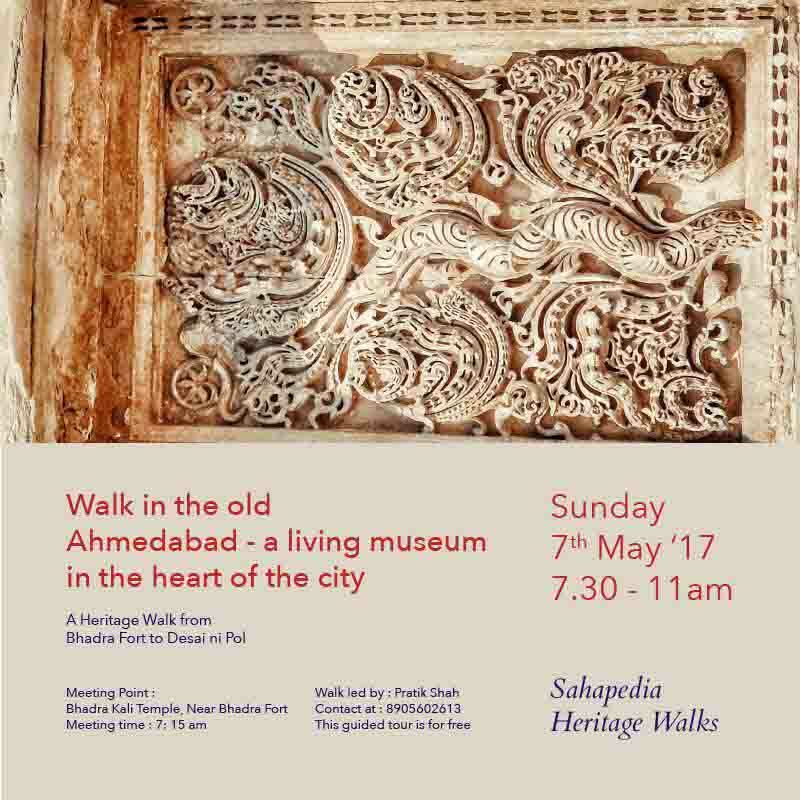 2017-05-07 07:30:00 2017-05-07 11:00:00 Asia/Kolkata Walk in the old Ahmedabad - a living museum! Do you know there are some real heritage treasures spread across old Ahmedabad? Join to explore and behold some of the amazing heritage and cultures of old Ahmedabad. This is also a wonderful opportunity to network with people who share a similar passion as yours, especially photography, architecture and history lovers. You never know, you might end up making some really interesting discoveries in these old monuments and areas. Getting deeper into the city’s past and exploring its marvels can even give you a new perspective on various subjects like art, architecture, culture and history. Walk to explore some spectacular monuments like havelis, temples, mosques, etc. and feel proud of the ‘living museum’ you’re living with! After the online registration, do inform through a text message or an email, before the walk, if you are unable to attend it. Parking facilities available outside the Lal Darwaja Market, adjoining Bhadra Fort. Photography allowed at certain places. DSLR not allowed inside Bhadra Fort. Wear full pants as Jumma Masjid does not allow people in shorts.